The rest of the book follows God’s action in freeing Israel from the Egyptians, delivering them from being slaves, redeeming them, and taking them as His people. All that’s left is to arrive at a place they call “home”. They don’t get there at the end of Exodus. God has brought them out, but He hasn’t brought them home. The ending seemed incomplete, unfinished, and – frankly – a little disappointing. What kind of ending is this? Wasn’t the point of bringing Israel out of Egypt to bring them to the promised land? Why then do they continue to wander in the desert without a glimpse of their new home? Why do they continue their search? What does it mean to be ‘home’? ‘Home’ might be the place you live, the people you live with, or maybe even the place your ancestors came from. My home is in small-town, Iowa, but it is also with my husband and with my family. Home is also Canada and the Netherlands – the lands I came from. Maybe ‘home’ is bigger than a destination. When I looked back at Exodus 40 I began to read it in a whole new light. At the end of the book of Exodus, God has yet to bring His people to the promised land, but maybe he has already brought them home. What is it that Moses does? He builds a house — the tabernacle — a place for God to live. And then, God comes and dwells in the house. 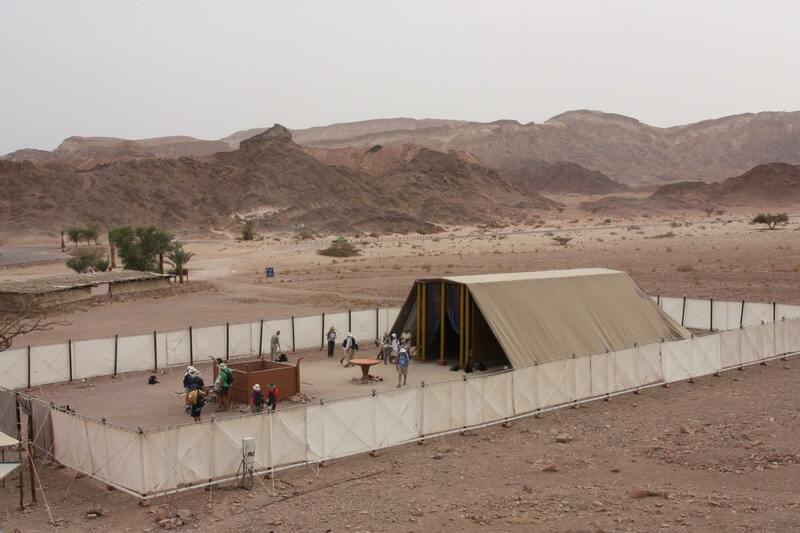 God dwells in a house built at the center of the Israelite camp. Could it be that God has indeed brought them home? Could it be, when we still find ourselves walking in the wilderness, that any place where God is at the center is a place that we can call home?